Senate Democrats introduced a bill Monday to block ’emergency funds’ for President Trump’s border wall. 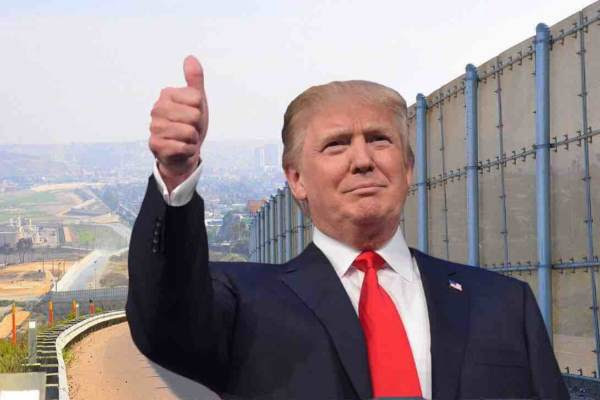 The legislation, sponsored by Senator Tom Udall (D-NM), would prevent President Trump from using funds from the Army Corps of Engineers or the Department of Defense’s military accounts to be used to fund his border wall should he declare a national emergency. The legislation would prevent Trump from using funding from the U.S. Army Corps of Engineers civil works funds and military construction funding “for the construction of barriers, land acquisition, or any other associated activities on the southern border without specific statutory authorization from Congress” if he declared a national emergency. Sen. Martin Heinrich (D-N.M.) added that the bill would “prevent funds designated for critical military construction and disaster response” from being used to build the wall in the event Trump declares a national emergency. More than a dozen Democrats, including Udall and Heinrich, introduced the Restrictions Against Illegitimate Declarations for Emergency Re-appropriations Act. Among the RAIDER Act’s supporters are Sens. Kamala Harris (D-Calif.) and Cory Booker (D-N.J.), who are both running for the party’s 2020 nomination. President Trump previously stated he may declare a national emergency to secure funding for the border wall after the longest government shutdown in US history failed to get Pelosi and the Dems to budge on border security. A couple weeks ago it was reported by CNN that the White House was drafting an emergency order to include $7 billion for the border wall. The President’s plan is to pull money from the Pentagon’s budget citing Title 10 of the US Code. In a Sunday interview on CBS’s ‘Face the Nation,’ President Trump said closing down the government again on February 15th is on the table. The Pentagon announced Sunday, just hours before the Super Bowl, that nearly 4,000 more troops will be deployed to the US-Mexico border. President Trump will deliver his State of the Union address Tuesday evening from the House Chamber where he may declare a national emergency.